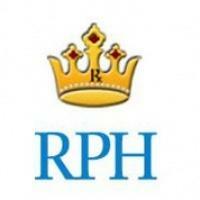 Royal Pearl Hospital is a 50-bed ENT hospital in Trichy, TamilNadu, India. The hospital is catering to all levels of Ear, Nose and Throat (ENT) care.It deals with: Otology, Rhinology, Laryngology, Head & neck cancer surgery, Facial plastic surgery, Laser surgeries for ear, nose & throat, Snoring & sleep apnea, Vertigo clinic, Head ache clinic, Deafness clinic, Audiometry, Tympanometry Royal Pearl hospital is equipped with the state of art instruments including the latest HD CAMERA; Video LARYNGOSCOPY, HITECH ND YAG LASER & a full fledged set up for cochlear implantation. The hospital also houses the Trichy ENT Research Center and is considered one of the best ENT hospital & research center in India.